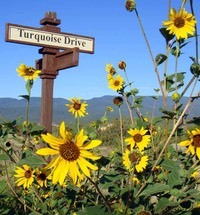 Sunflowers Turquoise Drive Photo taken on Turquoise Drive August 27th, sunflowers are in full bloom. Cool off at the pool on a hot summer day. 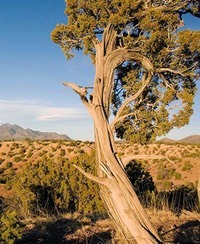 Pueblo style is one of the styles allowed in SPO. Low profile homes under 22 feet is required. 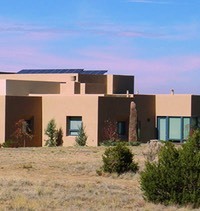 Contemporary pueblo homes have straight lines in the design. 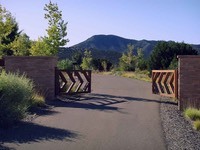 This is an exclusive gated community with only 102 homesites. These homesites (land parcels) range from 3 to 6 acres and are located just 1 mile north from San Pedro Creek Estates at Turquoise Drive. 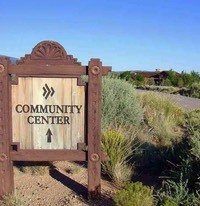 There is a community center, pool/jacuzzi, and walking paths/trails. 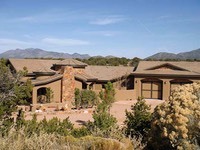 The terrain boasts superb views of the surrounding mountain ranges: Sandia, San Pedro, Monte Largo, South Mountain, Ortiz, and Jemez. Many sites are directly adjacent to the unspoiled 625-acre nature area consisting of red-rock canyons and the San Pedro Creek bottom. This same nature preserve is shared between the two communities. San Pedro Overlook has added its own open space to the original 625-acres for a new total of approximately 700-acres. Other features include underground electric, telephone, Comcast cable TV, high speed internet, natural gas, and state of the art shared well water system. Each site has carefully placed building envelopes which average about 32,000 square feet, this preserves views and distance between homes. The annual dues are approximately $2700. 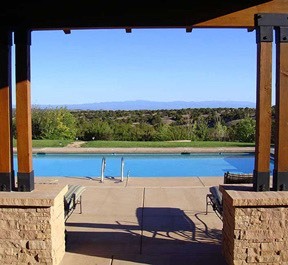 This covers primarily the maintenance of the common areas (landscaping), private roads, community center/pool, gate, community paths, and snow removal (on the paved streets). Land owners are subject to the same dues as home owners. There are several design guideline considerations in SPO to ensure long term values and to preserve the natural landscape. All home plans must be submitted by a licensed architect and will be reviewed by the Design Review Committee. This list will highlight some major guidelines to give you a basic concept. • Minimum size 2400 sqft. • Single story homes only. • Styles Allowed: Pueblo, Territorial, Grand Lodge, Ranch, and Contemporary Pueblo. • Pitched roofs: clay, slate, or concrete composite. No metal roofs. 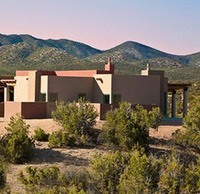 • Flat roofs (for pueblo style) must match stucco color or have low light reflective value, no white. 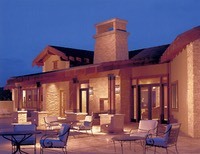 • Earth tone stucco/stone exterior walls. • Maximum height 22 feet. 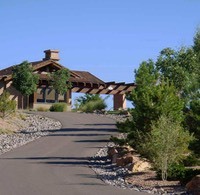 • Natural driveways: gravel, natural stone, natural colored concrete, stamped concrete, pavers, crusher fines, or exposed aggregate. • Guest home or casitas allowed. • RV/Motor-homes must be parked in garage. • Improvements must be contained within building envelope. 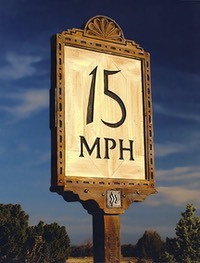 Please Contact Us for more in depth covenants. 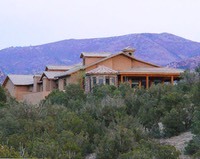 San Pedro Overlook is the proud host of the 2010 HGTV Dream Home which was brought to New Mexico in part from the diligent efforts of our broker Will Beecher. *FIRE PROTECTION POND & FIRE HYDRANTS Installed. The thin tree cover in San Pedro Overlook surrounded by San Pedro Creek makes fire risk extremely low.